Power metal has always been the ginger-haired stepchild of metal. It’s cheesy, and full of corny lyrics about mythical lands and beings going on wondrous adventures. Lame, right? But occasionally, a band comes along who does away with the speed-metal roots and wailing vocals of the genre, and releases something with a bit more depth and substance. 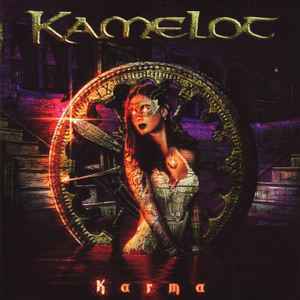 Enter Kamelot, with their fifth studio album, 2001’s ‘Karma’, the group have really hit their stride, with a refined sound and more polished song writing, this is where the band truly begin a streak of strong releases that establishes them as one of symphonic metals true champions. Building upon what they’d started with 1999’s ‘The Forth Legacy’, ‘Karma’ has a very rich sound that gives the band an amazingly fantastical feel. Brimming with lavish orchestrations and exotic musical influences, Kamelot have slowly stepped away from the medieval themes of past albums and gone for a more varied, worldly sound, and it works well with their upbeat and energetic performances. Special mention must go to vocalist Roy Khan, who’s incredible voice works very well with the music and gives it a warm and wholesome sound. With highlights such as ‘Forever’, ‘Across the Highlands’, ‘Wings of Despair’, all three parts of a trilogy entitled ‘Elizabeth’, and the beautifully emotional ‘Don’t You Cry’, it’s clear that here is a band who, after a few albums tweaking their sound, have finally found their identity and established a style befitting a band named after the home of the legendary King Arthur. Kamelot may not be for everyone’s tastes, but if you’re okay with a bit of fantasy and majesty in your music, then this is definitely worth checking out.